My interest in bulbs really exploded about this time last year. 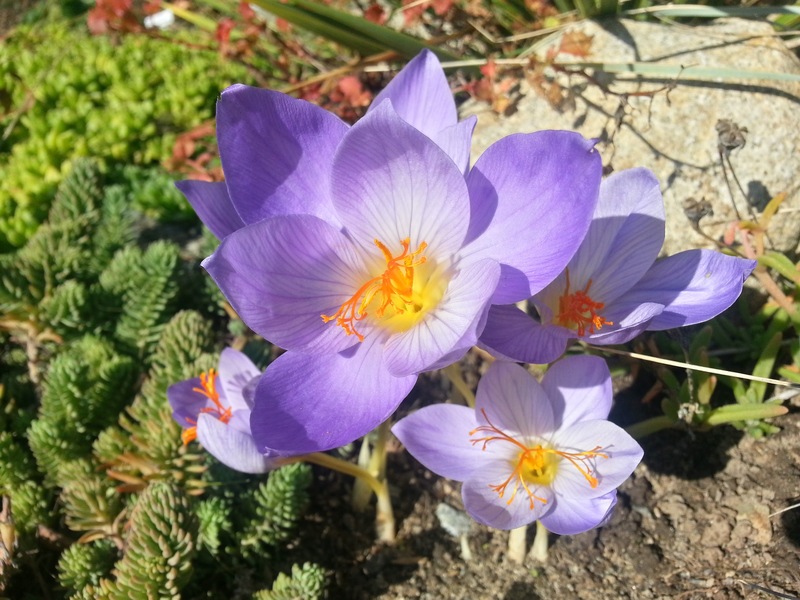 Photos of Mike Kintgen's gardens in Colorado, subsequent conversations with him and then seeing his buffalo grass lawn awash in Crocus last Spring, and finally Brent Hine's photos of rare Narcissus in Vancouver's E.H. Lohbrunner Alpine Garden provided most of the inspiration. This is what it's all about! 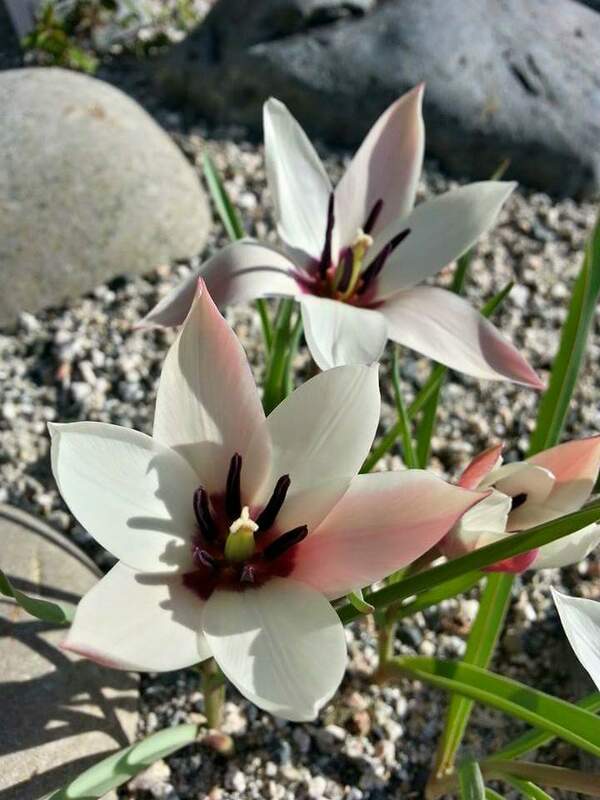 Tulipa clusiana "Peppermint Stick" in the Vancouver scree garden, Spring 2014. 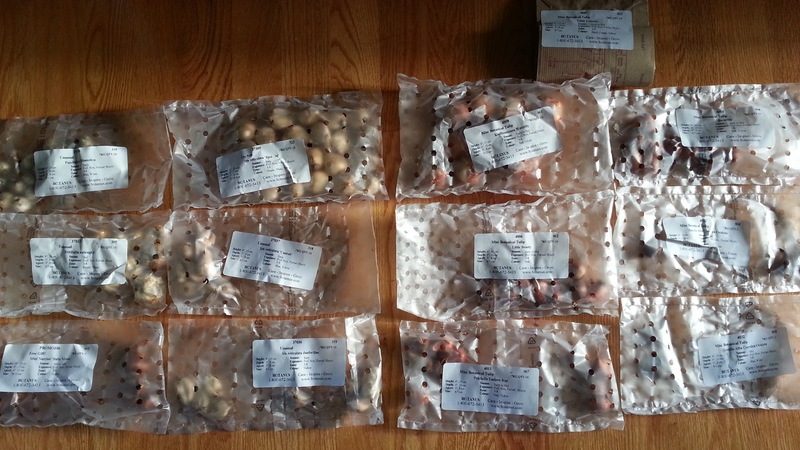 This Fall, I've planted well over 50 varieties of bulbs / tubers/ corms in both my Lower Mainland / Vancouver and / or mountain gardens. The majority of these plants were botanical or "species" Tulipa, Reticulated Iris, various Spring and Fall blooming Crocus, rock garden Narcissus, Galanthus, Colchicum, Erythronium, Lilium, Chionodoxa, Scilla and Cyclamen. Just a very few of the bulbs I ordered. Special measures were taken, at the mountain garden, to protect vulnerable plants, particularly botanical Tulipa, from voles - which are tunneling rodents that ravage plants and their roots under the cover of snow. Squirrels and pocket gophers are also an issue. I built these sturdy, metal, sealable cages out of hardware cloth and baling wire, with Mike Kintgen's encouragement. Hardware cloth cages to protect bulbs from rodents. 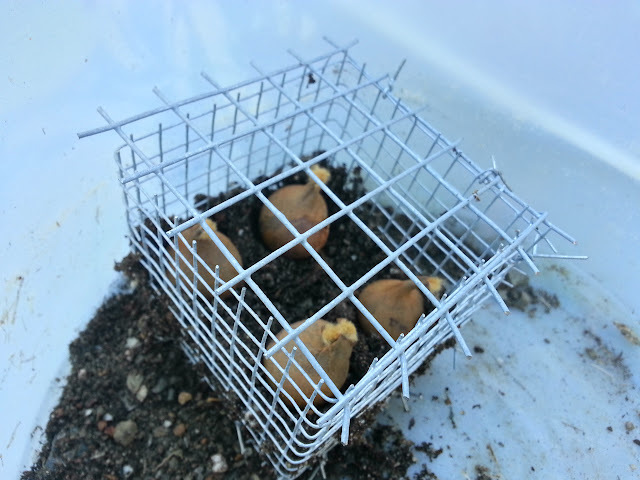 The bulbs can be placed inside the cages. 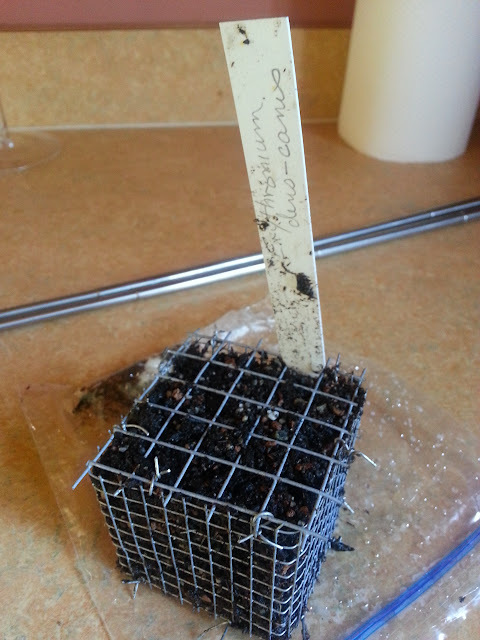 Then soil is packed around them until full. Finally, seal the cage lid shut with baling wire and bury the entire cage. Note the hardware cloth used for the lid has larger holes than the sides - to allow the flowers to emerge. I hope! 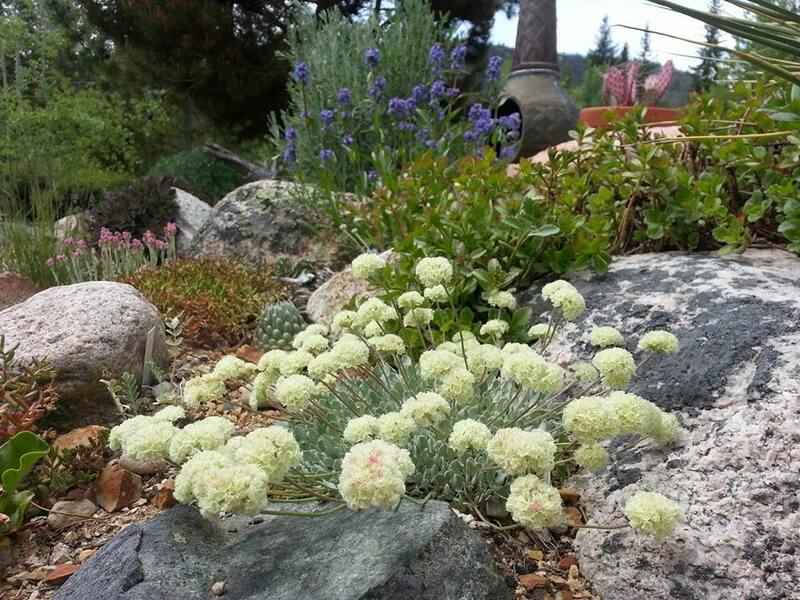 Now Mike Kintgen has advised that in his mountain garden at Steamboat Lake, Colorado, he has found that voles will sample just about anything except for Narcissus, Galanthus and Colchicum. Even "deer resistant" bulbs such as many Crocus and Iris are vulnerable. I am keeping my fingers crossed. If I had built cages for every variety of bulb I planted, I would still be making cages! 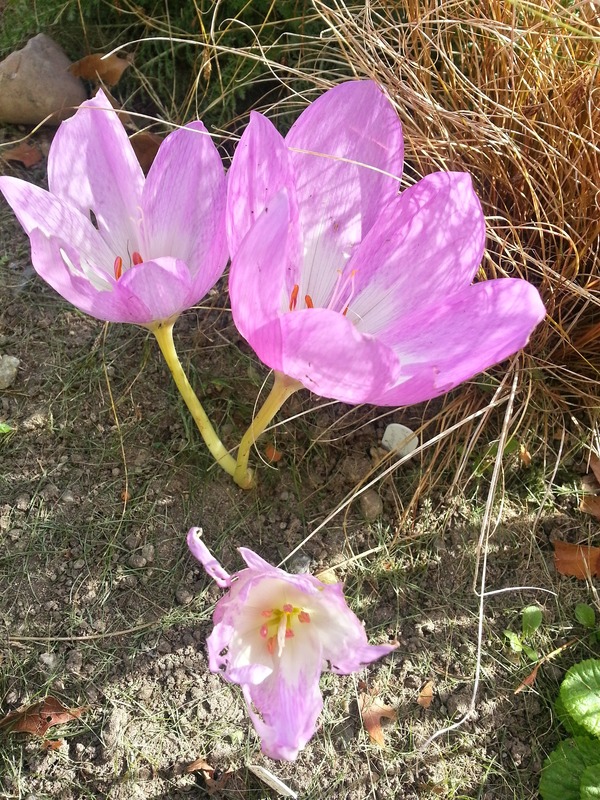 Colchicum "The Giant" in September. 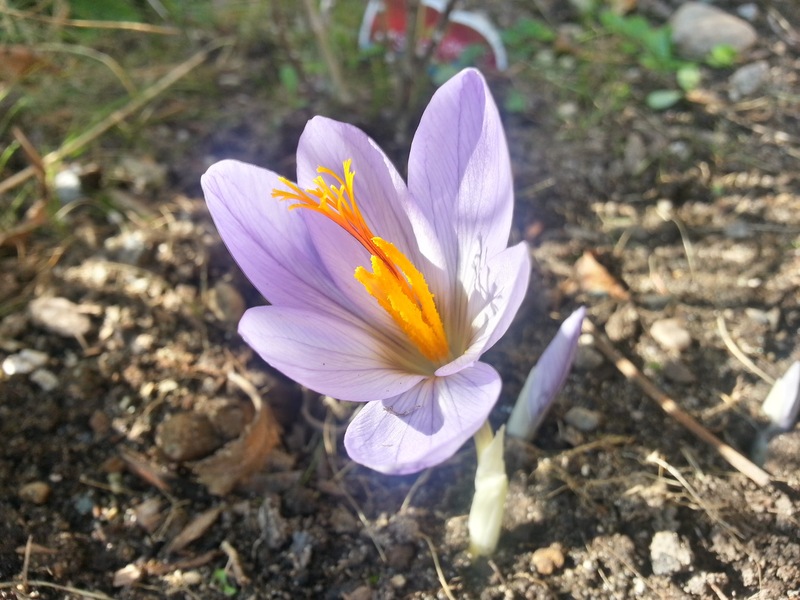 Crocus speciosus in early to mid October. 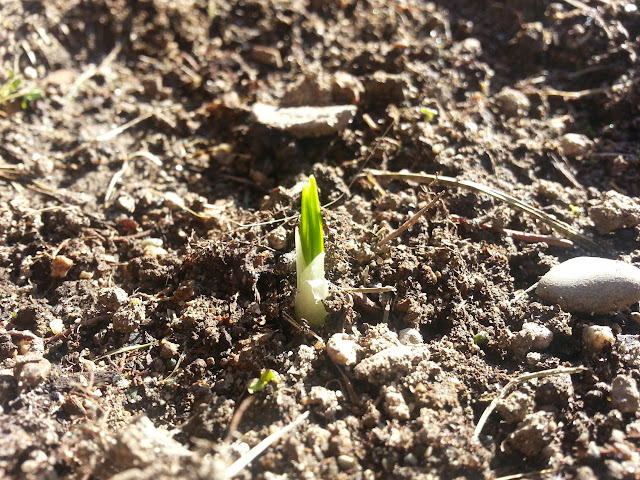 Crocus sativus - from which the spice Saffron comes from - just starting to emerge last week. 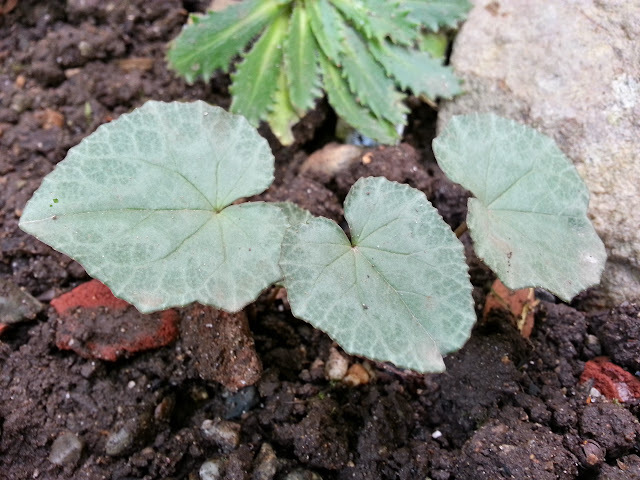 Cyclamen hederifolium - unfortunately not going to bloom this year.